After going 6-2-0 over their last eight games and “blowing out” an opponent on national TV, the Vegas Golden Knights are back on everyone’s radar screen. During that period, the Golden Knights defeated five divisional opponents. Something NHL analyst Craig Button believes will end up hurting teams below Vegas in the Pacific standings. 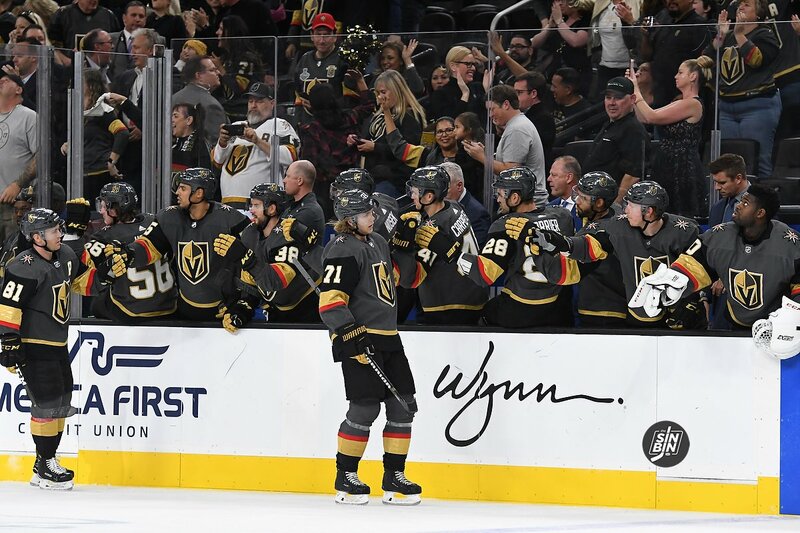 The TSN analyst suggests Vegas is back on track to compete for the conference. Same goes for analyst Ray Ferraro, who expects Vegas to be in contention for back-to-back division crowns. One component Ferraro really focused on was Nate Schmidt’s return. Like we wrote last week, Vegas is a much more complete team with their shutdown defenseman in the lineup. There are multiple reasons for the Golden Knights latest success. Schmidt and Marc-Andre Fleury are obvious, but what about the second line? Or Vegas’ hot power-play? Or goals coming from defensemen? No matter how, what, or who caused their turnaround, it always comes back to playing their game. With speed. Sometimes, Vegas fans can get sick and tired of generalizations spewed by national pundits. Button and Ferraro, on the other hand, have a good grip of this team. Both analysts are centralized in the Pacific Division and know the Golden Knights rosters very well. Just a reminder, early last season Ferraro said this about the Golden Knights only a few games into the season. He was right on the money. The consensus among the hockey world is San Jose and Calgary are the cream of the crop in the Pacific. However, it’s clear to the people that know the team, Vegas is back to being the dangerous team we expected them to be. And if there is one thing fans and analysts can agree on; if a team is going to have a slow start, have one in the Pacific Division. ARZ will be in the mix, not ANA, but otherwise spot on. And quite frankly SJ has been even more disappointing then Vegas early on. At least we have had injuries. Sharks just don’t show up some nights…just like last season.